G.Panks / D.Graham 1995 36 72/72 6948/6828 30 minutes from downtown. The Burapha Golf Club is designed by David Graham and Gary Panks, opened in 1995 and was formerly a members only golf club. 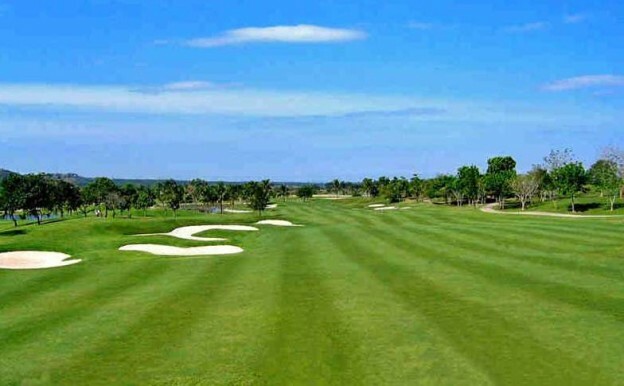 Burapha is one of the most popular golf courses in the Pattaya area. The Augusta and Belfry layouts are the most friendly to play while the Cypress and Dune courses are a much tougher challenge. The clubhouse has very good facilities including a fully equipped Pro-Shop, the Garden Room Restaurant for golfers of all nationalities and a swimming pool.